Tampa auto accident attorney Timothy G. Anderson, P.A., strives to provide victims of car, or motorcycle accidents and personal injury clients exceptional representation while maintaining the highest ethical and professional standards. Our firm will successfully help you get the settlement and compensation you deserve following an accident or personal injury. Experience: Our car accident lawyers and personal injury attorneys provide quality legal counsel and representation for those who are dealing with the repercussions of a motor vehicle, or motorcycle accident and slip and fall accidents. Our firm is exclusively a plaintiffs' personal injury trial practice. Highly rated AV Attorney Timothy G. Anderson helping the injured in Personal Injury cases throughout Florida since 1974. Our firm specializes in seeking justice for consumers who have been injured due to the fault of others. The Tampa auto accident attorneys at TGA Law have the experience to handle any personal injury law and automobile accident cases. Personal Service: The lawyers at our skilled Tampa auto accident law firm and support staff alleviate the worry and frustration that can accompany a personal injury case. We meet one-on-one with clients and make their needs our priority. We offer free case evaluations and take cases on a contingency fee basis - which means clients pay nothing unless we recover on their automobile accident or personal injury claim. When experience and personal service matter, you can count on Timothy G. Anderson, P.A. Our slogan, "Professional experience you need, personal service you deserve," is our commitment. The personal injury lawyers at Timothy G. Anderson, P.A., represent clients throughout Tampa Bay which includes the counties of Pinellas, Hillsborough and Pasco and the cities of Tampa, Brandon, Clearwater, St. Petersburg, Bradenton, Plant City, Brooksville, Spring Hill, Palm Harbor, New Port Richey and their surrounding areas. Tampa Personal Injury Attorney Timothy G. Anderson has created a list common mistakes you can make that might jeopardize your legal case or lawsuit claim along with tips for how you can avoid them. No documentation: If you have been hurt in an accident caused by someone's carelessness or negligence, you should document physical evidence at the scene or soon after to support your personal injury claim. Try to get photographs of any accident scene because scenes can be altered and memories are sketchy and unreliable. No medical reports: Go to see a doctor immediately. Do not make the mistake of delaying medical treatment as it can jeopardize your lawsuit. Injuries sustained in a motor vehicle accident, even those that seem minor, can become serious. Often pain is not felt immediately because of stress. Don't try to tough it out, get your injuries documented even if you do not have health insurance. Trying to represent yourself: Insurance companies are represented by knowledgeable adjusters and attorneys. Representing yourself in an injury claim is risky. Do not try to negotiate your own financial settlement. This can result in a lesser amount of money than you need to cover your medical costs and lost wages. Getting too emotional: Do not harbor a hostile or belligerent attitude. Do not isolate yourself and leave yourself open to depression. You are going to need family and friends to support you and perhaps be witnesses for you in court. However, choose your confidantes carefully and watch what you say. Sometimes even well-meaning family and friends can disclose things about you that can reflect negatively upon you and jeopardize your case. Waiting to hire a lawyer: Do not wait to contact a lawyer. Florida accident laws are complex and delays can hurt the presentation of your injury claim. Not hiring a Tampa lawyer who specializes in your type of case: The law is complicated and you need to hire a specialist who not only knows the ins and outs of the law but is familiar with the local jurisdiction. 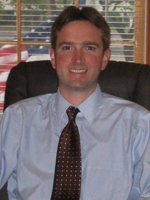 Only a board-certified civil trial lawyer such as Timothy G. Anderson is allowed to be called an expert. 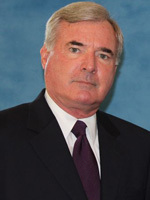 Timothy G. Anderson graduated with honors from Jacksonville University in 1971 and the University of Florida College of Law in 1974. He grew up in a casualty insurance environment, his father being a State Farm Insurance divisional Superintendent. In 1975, after one year of defending insurance companies he began exclusively representing individuals injured by the negligence of others. His clients include victims of automobile, truck, premises liability, professional negligence and product liability accidents. Mr. Anderson has been lead counsel in hundreds of personal injury trials and has been Board Certified by the Florida Bar in the field of Civil Trial practice since 1983. He has been recognized as a top 100 lawyer by the invitation-only National Trial Lawyers and named a Super Lawyer. Tim has been included in Tampa Bay Magazine as one of Tampa Bay's top lawyers and holds the highly prestigious AV preeminent rating by Martindale Hubbell. Professional memberships include The Florida Bar, American Association for Justice, Florida Justice Association, Tampa Bay Trial Lawyers Association, Hillsborough County Bar Association, and Master of the American Inns of Court. During his career he has always maintained a policy of mentoring younger attorneys. In addition to his active trial practice, he frequently lectures and provides expert testimony in matters involving personal injury and insurance law. Topics routinely include civil trial certification, premises liability, automobile traffic reconstruction, proving damages, trial tactics and insurance bad faith. The State of Florida has more than 93,000 lawyers. In 2013, Mr. Anderson was recognized by the Florida Bar as one of only 221 outstanding lawyers who have achieved 30 or more years of continuous board certification. Only 23 of that number call Tampa home. During his high school years Mr. Anderson was a dedicated athlete playing a variety of sports, including basketball and baseball. He earned a full scholarship to play both of those sports at the collegiate level. That background led to many years of coaching in a variety of youth leagues in the Tampa Bay area. When not participating, he avidly supports the USF Bulls, Tampa Bay Rays, and the Tampa Bay Lightning, in addition to his alma mater. Tim is a member of American Legion Post 273, Madeira Beach, having served in the United States Army before law school. He is also a member of Palma Ceia Lodge 290 F.& A.M. and the Egypt Shrine in Tampa. Mr. Anderson and his wife of over 36 years, Carole, have one daughter, two sons and three grandchildren. The Andersons are long-time members of Hyde Park United Methodist Church. Tim Anderson Jr. was born in Tampa, Florida in 1979. Tim Jr. is a graduate of H.B. Plant High School, and has spent the majority of his life as a Tampa resident except for the years he spent away as a "Gator" at the University of Florida. In 2002, Tim Jr. graduated with honors from University of Florida with a B.A. in Political Science. Tim continued at UF where he earned his law degree at the University of Florida Levin College of Law in 2005. Aside from being a "Gator Football" fan, while at the University of Florida Tim Jr. became involved in a number of student activities. Tim was actively involved with the Sigma Chi Fraternity, and the U.F. Interfraternity Council, serving as President of both of those organizations. During Tim's time in law school, he worked in Tampa during the summer months as a law clerk in the personal injury and criminal practice areas. Tim became a Certified Legal Intern at the State Attorney's Office and tried his first Jury trial in his third year of law school. After passing the Florida Bar exam, Tim served for two and a half years as an Assistant State Attorney for the 13th Judicial Circuit in Hillsborough County. In this position, Tim prosecuted hundreds of criminal cases at the misdemeanor and felony level. While serving as an Assistant State Attorney, Tim was able prosecute to verdict over 20 jury trials. In March 2008, Tim Jr. joined his dad and the staff he has grown up around. He is delighted to further his career by helping those injured in truck and auto accidents and individuals accused of criminal wrongdoing. Tim Jr. is a member of Florida Justice Association, Tampa Bay Trial Lawyers Association, Hillsborough County Bar Association. Tim Jr. is married and practices in the Personal Injury and Criminal Defense areas of law. During his free time, Tim Jr. enjoys boating, snow skiing, and "Gator" football games. Tim has also played the piano since age four, and loves to entertain a crowd with rock-n-roll style piano performances. Heather graduated from H.B. Plant High School in Tampa in 2005. After high school, Heather attended the University of Florida in Gainesville. She graduated with honors from the University of Florida with a Bachelor of Arts in Political Science with Minors in Business Administration and Organizational Leadership for Non-Profit Organizations. While at the University of Florida Heather stayed busy with an internship at the Ronald McDonald House of Gainesville, and leadership positions in Pi Beta Phi Sorority including Standards Board Representative and Philanthropy Event Producer raising over $15,000 for charity. After graduating from the University of Florida Heather returned near the Tampa Bay area to attend Law School at Stetson University College of Law in Gulfport. While at Stetson Heather was the Vice President of Florida Association of Women Lawyers at Stetson, a Representative and Elections Committee Chair for the Student Bar Association, and a member of Phi Delta Phi International Legal Honors Society. Heather graduated from Stetson in May of 2012 in the top 1/3 of her class with a J.D./M.B.A. dual degree, an Advocacy Certificate of Concentration, and Leadership Certificate. Additionally, Heather earned the Doyle Conflict High Grade Award for earning the high grade in her Negotiation and Mediation class at Stetson. Within her M.B.A program Heather was on the Deans List for Spring 2012, and studied abroad in Innsbruck Austria traveling to Italy, France, Monaco, Germany, and the Czech Republic. While in law school Heather took her first case to trial in her 3rd year of law school as a Certified Legal Intern for the Public Defender Office of the 6th Judicial Circuit. 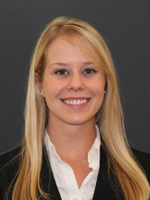 Heather also participated in the AAJ Civil Trial Competitions hosted by Stetson AAJ in which she was awarded Best Advocate in a Preliminary Round in 2010 and Most Professional Team in 2011. Heather also began working as a student Law Clerk for Timothy G. Anderson, P. A. in June of 2010 and continued through her law school graduation. Heather enjoyed her Law Clerk work doing legal research, writing complaints, motions, and memoranda of law, and observing various legal proceedings, but is enjoying her transition to Attorney at Timothy G. Anderson, P. A. even more. Heather is currently a member of Florida Justice Association, Tampa Bay Trial Lawyers Association, Hillsborough County Bar Association, Hillsborough Association for Women Lawyers, Florida Association for Women Lawyers. Heather enjoys volunteering, specifically she enjoyed volunteering with Big Brothers Big Sisters in GuIfport during her 3rd year of law school. Also in her free time Heather enjoys practicing yoga, going to the St. Petersburg/Clearwater/Sarasota beaches, bicycle rides, and traveling to Gainesville to watch Gator Football.